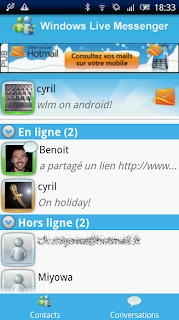 eBuddy XMS is a free, real-time messaging application for smartphones. 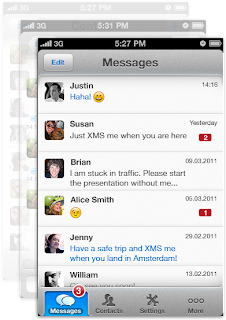 You can XMS unlimited text messages to anyone who’s also installed it to their smartphone. 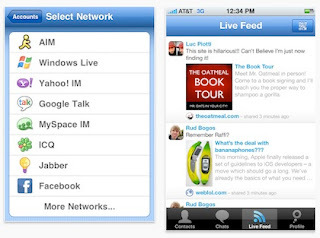 eBuddy XMS uses your smartphones Internet connection to share unlimited messages between you and anyone else on XMS. 3. Inviting friends through e-mail. eBuddy XMS is currently exclusive to Australia and the Netherlands, worldwide launch will soon follow. 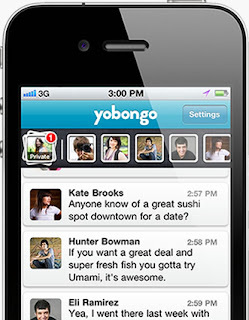 Yobongo is an iPhone application that allows you to chat with people nearby. Chat with interesting people in your city, at a coffee house, at the park, anywhere. No complicated setup process, people to follow, or rooms to configure. Simply jump into the conversation happening around you. Yobongo is compatible with iPhone, iPod Touch, and iPad. Requires iOS 3.1 or later. 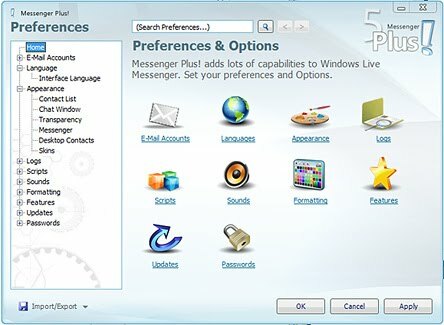 "According to reports from French website Clubic.com, it appears that Microsoft is set to launch its first officially-endorsed Windows Live Messenger client onto the Android Market next Monday April 11th. Interestingly, unlike its iOS counterpart, this app is developed by Miyowa – the same company that developed the "official" Windows Live Messenger app on the Windows Phone marketplace. This app will be free but ad-supported, and will be compatible with all devices with Android 1.6 or later. The app will feature push notifications and multi-tasking, however, just like its Windows Phone 7 counterpart, this app will be missing things like file transfer or integration with Windows Live SkyDrive – features that are found on the Messenger app on iOS..."
Kudos Chat Search for Skype is a small and easy to use application that allows you to search through your Skype history for the desired text string. 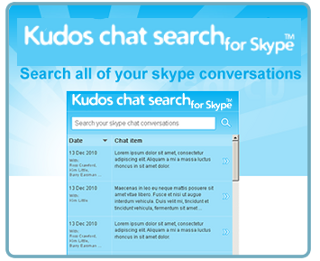 # Search across all of your Skype chat history at once to instantly locate that website, download link, comment or name. Yahoo ID Checker is a handy utility designed to allow you to mass-check IDs. 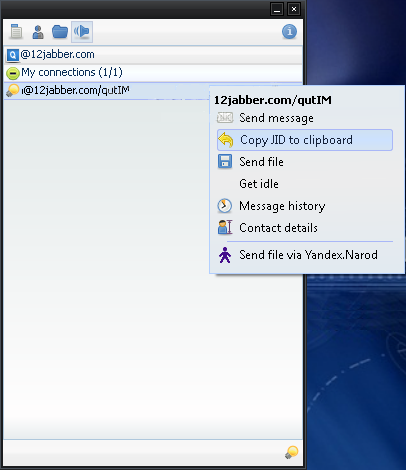 It checks online availability of Yahoo Messenger users without having to login or to have them in your friends list. You can check any number of Yahoo! IDs from a simple text file, and let the program check if they are online or not. Additional you can save the Yahoo Avatar (regardless if the user is on or offline) and send them personal messages from the program without having to open Yahoo Messenger. You can check up to thousands of Yahoo IDs - there is no real limit. In order to send personal messages to the yahoo users you must set up the login data under the "Login Button". 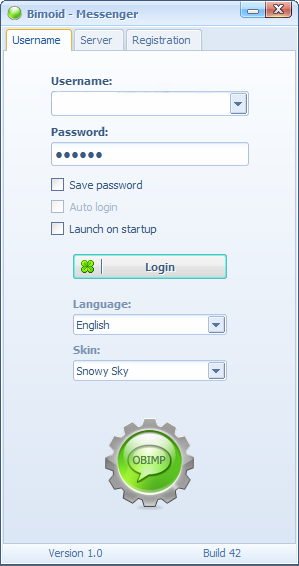 This free software allows launching multiple Skype accounts at the same time and on one computer as easy as it can only be. 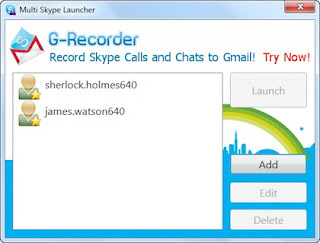 To benefit from Multi Skype Laucner you need to use Skype version 4 or higher and Windows XP/Vista/7. Skype in the classroom is a free community to help teachers everywhere use Skype to help their students learn. It’s a place for teachers to connect with each other, find partner classes and share inspiration. # Collaborate on projects - You can create your own project or find one where your help is needed. # Connect with other teachers - Use the directory to find like-minded teachers all over the world. # Discover new teaching inspiration - The resource section of Skype in the classroom is stacked with videos, links and tips. 2. 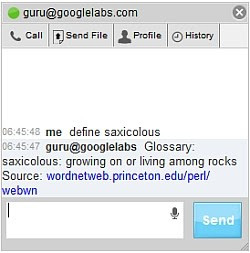 Send a chat invitation to guru@googlelabs.com or click the link "Sign in and invite myself to chat with Guru" at the bottom of this page. 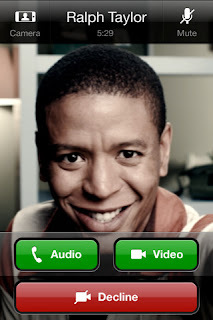 With FaceFlow you can make video calls and talk face to face quickly and easily. In fact, you can even start video calls with people who are not registered to FaceFlow, by simply sharing your "video call" link with them. Group video calling is also available for free. # Simply select the "Stay Anonymous" option to hide your identity while you meet people using the free random video chat system. Admins control who joins the secure network and what they can see. Furthermore, this application is intuitive enough so that not only the tech-savvy will be able to use it, but computer novices as well. · Customize notifications with pop-ups, sounds, and flashing icons/toolbars. · Inline previews for images, Twitter, YouTube, and CloudApp links. · Drag and drop file sharing. · Paste images directly from your clipboard into chats (perfect for sharing screenshots). · Files & Links sidebar shows recently shared links and files. · Chats transferred in 256-bit SSL encryption. 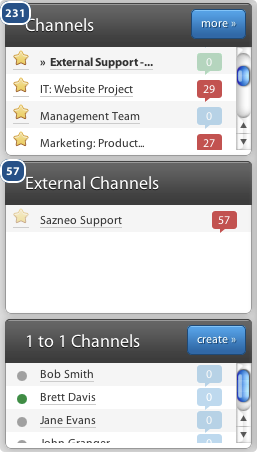 NOTE: In order to use HipChat, you need to create an account. 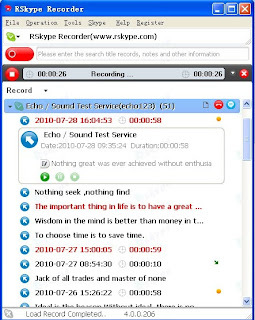 Karoo Lark provides online messengers for common instant messaging services, like Windows Live Messenger (MSN), Google Talk (Gtalk), Facebook Chat (FBChat), Yahoo! Messenger (Yahoo! Chat) and AIM (AOL Instant Messenger). 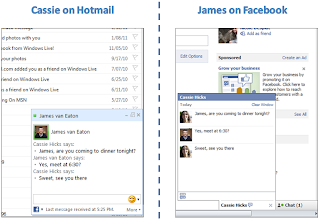 Karoo Lark web messenger load all instant messaging services inside one web page. All you need is open it with a modern browser. It is running with less memory and CPU time. And it does not pop up any windows to annoy you. 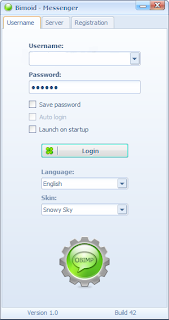 # Multiple login cross all IM networks. # User picture and personal status message in almost all IM networks. 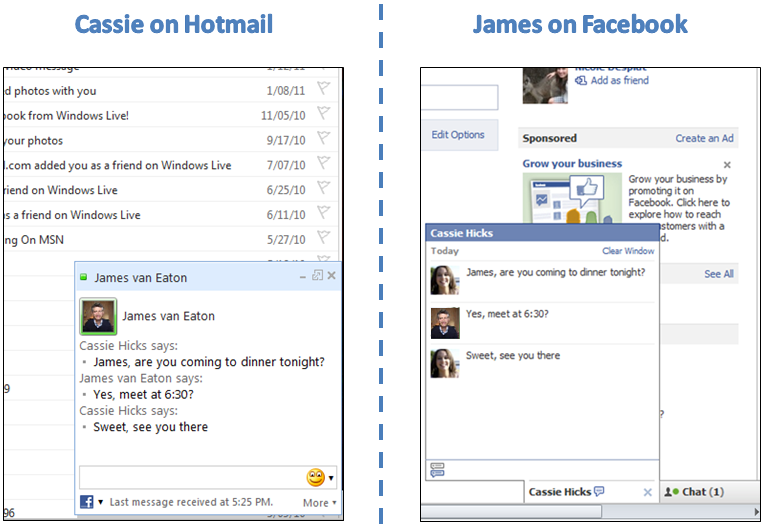 # Very simple but efficient UI to help you focus on chatting with your friends. 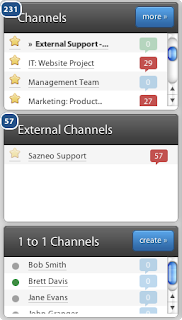 Sazneo offers a real-time communication service to allow teams to communicate more effectively, both internally and with teams at other companies. It brings together elements of instant messaging, group chat and online communities into a single online business application. No hardware or software required. "Research In Motion (RIM) has just announced the first beta release for the next major version of Facebook for BlackBerry, which features a redesigned user interface and incorporates a host of new features, including Facebook Chat. The new Facebook Chat feature integrates with both the app and the unified mailbox. As long as your status is set to “online,” friends can send you notifications even if you aren’t using the app. 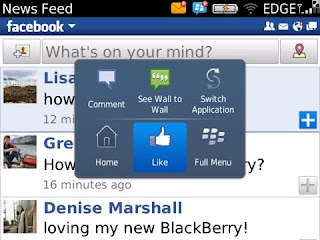 Even better, within Facebook for BlackBerry 2.0, users can still get alerted about new BlackBerry Messenger messages or see when a new e-mail hits the inbox..."
ChatVibes is a free browser extension that adds a VideoPhone directly to your Facebook Chat. 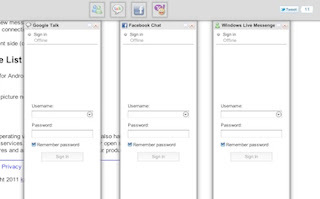 ChatVibes is NOT a Facebook application - it is a simple browser add-on (a.k.a a browser extension, or toolbar). With ChatVibe you will be able to video chat with your Facebook friends in no time. ChatVibes will add a small icon to your Facebook Chat tabs. 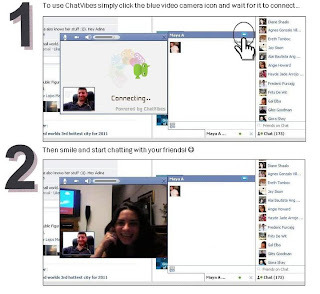 Clicking on it will let you video chat with your friends who are already online on Facebook Chat. If your friend already has ChatVibes installed then a video call will be established. 1. Go to http://www.chatvibes.com and click download. 2. Open the file you just downloaded and install it on your computer. 3. Open Facebook Chat and click the name of the friend you want to video call. 4. On your friend's Chat tab click the blue video camera icon (see image above). 5. Invite all your friends to download ChatVibes to video chat with each other! eNotice is new bulk messaging solution allowing instant and reliable delivery of notifications, messages and alerts across any networks to Windows Desktops, Cell Phone as Text Message, RSS Feeds and Social Networks . Simple and effective solution to allow administrators within an organization to reliably deliver key notifications, messages and notices to all or specific users across an enterprise while providing accurate records of message delivery and acknowledgement. 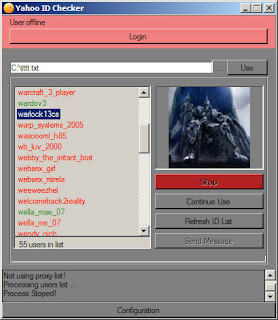 eNotice have a dedicated control panel that allow Administrators to create Groups and User accounts in the server system which allows Message Posters to post text messages for specific Group of Users in network or to Social Network Accounts. The eNotice client will help you access all the benefits of the service right from your desktop. It runs in your system tray and will alert you as soon as an event occurs. 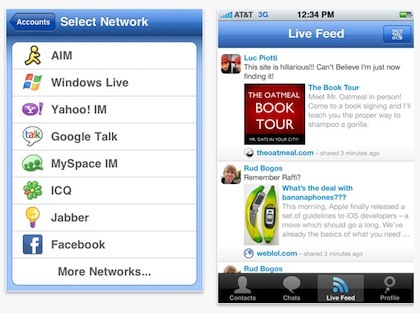 Meebo’s latest iPhone app went live yesterday. This version brings many of the latest features from Meebo’s web check in system, which means Meebo for iPhone now lets you share even more stuff while on the go. Beyluxe Messenger is a handy and straight-forward application that allows yuo to chat with your online friends. Kadu - Open Source Gadu-gadu Client for Linux, BSD and Mac. Ursa Spell Checker is a small program that allows you to check and correct the spelling while chatting in Skype. 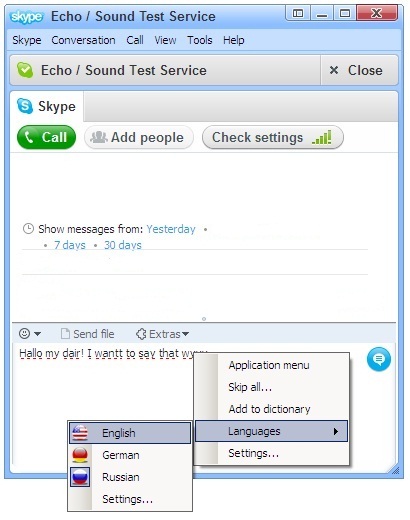 It allows you to avoid embarrassing spelling mistakes by using the Skype chat. While typing text in Skype chat just press the spell checking keys and Spell Checker starts to work- it underlines with red points all the words with spelling mistakes. - Ursa Spell Checker can check the spelling in several languages which dictionaries can be added. - Replacements are sorted by the degree of closeness with the misspelled word. - Speed way to start the spell checking with the spell checking keys you set. - Multi-language intelligent user interface. - Helpful and exhaustive manual. Freely distributable application NumberMe is simple and funny tool for encrypting chat messages, e-mails, or any text. To decrypt a message you have to enter the same encryption key by which was this message encrypted. Program has very simple and user-friendly interface. 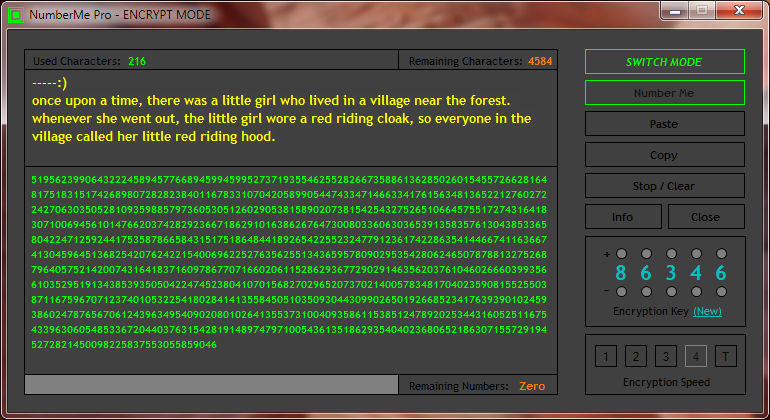 Output form of encryption are numbers. With your unique encryption key your message will only be able to decrypt by person to who you give your key. # Characters: the number of characters you can use in single message. # Encrypting Speed: with higher speed you save a lot of time. # Universal key: with universal key you will be able to decrypt any message encrypted with NumberMe or NumberMe Pro without knowing an encryption key. 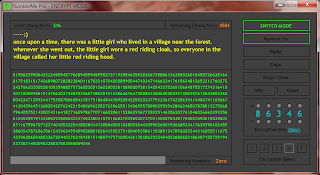 # Special key: with special key you can decide whether to make your numbers decryptable or not for NumberMe or NumberMe Pro users. When using special key these users will not be able to decrypt your message even if they do know encryption key. 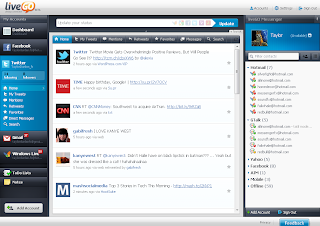 aLync is a multi-messenger client. 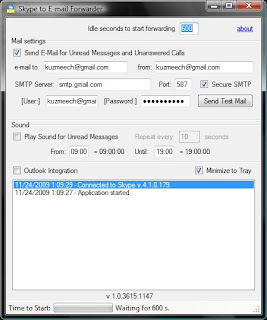 It supports Yahoo, Google Talk, MSN and OCS/Lync (CWA server needed for connection) services. 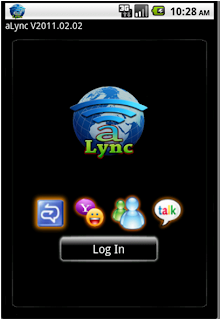 With aLync you can log on to your Yahoo, GTalk, MSN and OCS accounts and chat with your friends. It supports file transfer, a simple drawing board so you can easily draw something to your buddies and send them over. aLync has gesture recognition methods implemented so you can simply access helpful functions like sending text messages and calling a contact from your phone. 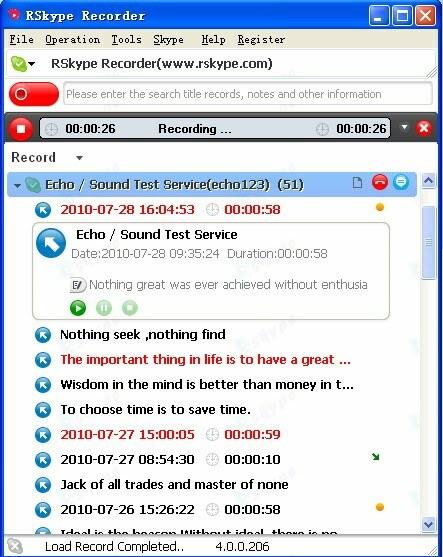 Skype to E-mail Forwarder is a small and easy to use application that is able to forward missed Skype chats and calls to your e-mail (and e-mail enabled phone). 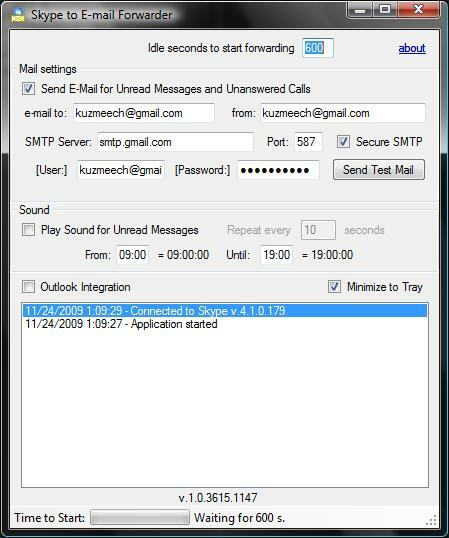 With Skype to E-mail Forwarder it's also possible to reply to the received e-mails in order to answer chat messages. 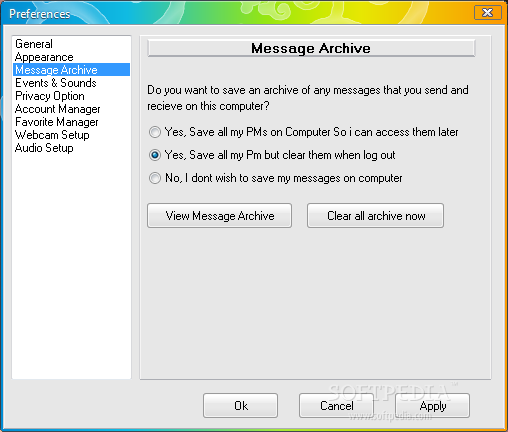 # If Outlook integration is enabled you can answer back to Skype by replying to e-mail. # If Outlook integration is enabled you can flag follow-ups by replying to e-mails and adding Flag: prefix in Subject. advent of social networking, namely, Facebook. 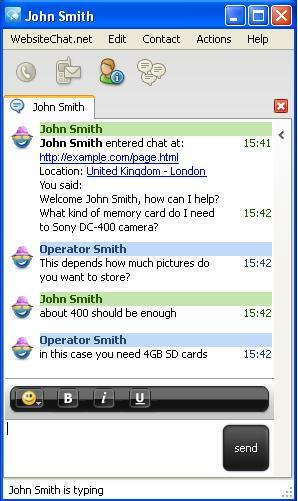 Today you can use a traditional instant messenger just like people used to, using the same client, AIM. because you can specify exactly who can IM you by way of Facebook Friend Lists. 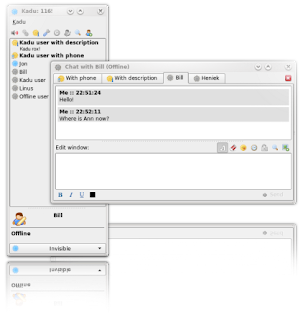 Bimoid Messenger is the simple and lite client program for sending instant messages between users through Bimoid server. Using Bimoid messenger, you can connect to any Bimoid server installed on your local or any other network, if you have appropriate access and server address. To try messenger you can connect Bimoid community by setting our Bimoid server address (bimoid.net) in the "Server" tab of messenger program. Provide Live Help will help you chat with your website visitors, enabling you to give instant online customer support and pro-actively sell your product. 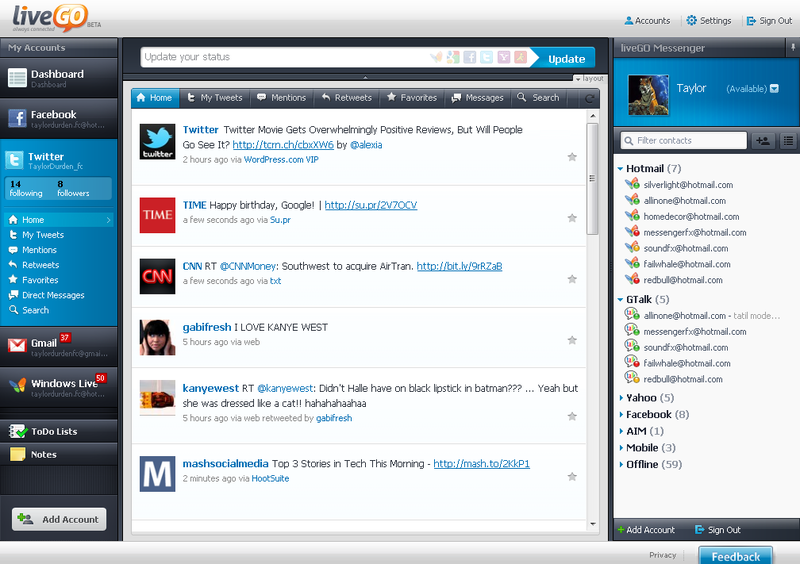 Our desktop Chat application instantly notifies you of new chat requests, no need to keep your web browser open! Chat with your website visitors and connect to other Instant Messaging networks at the same time. · Hosted service Provide Live Help is a hosted system which means you don’t have to worry about server capacity, bandwidth usage or system upgrades. 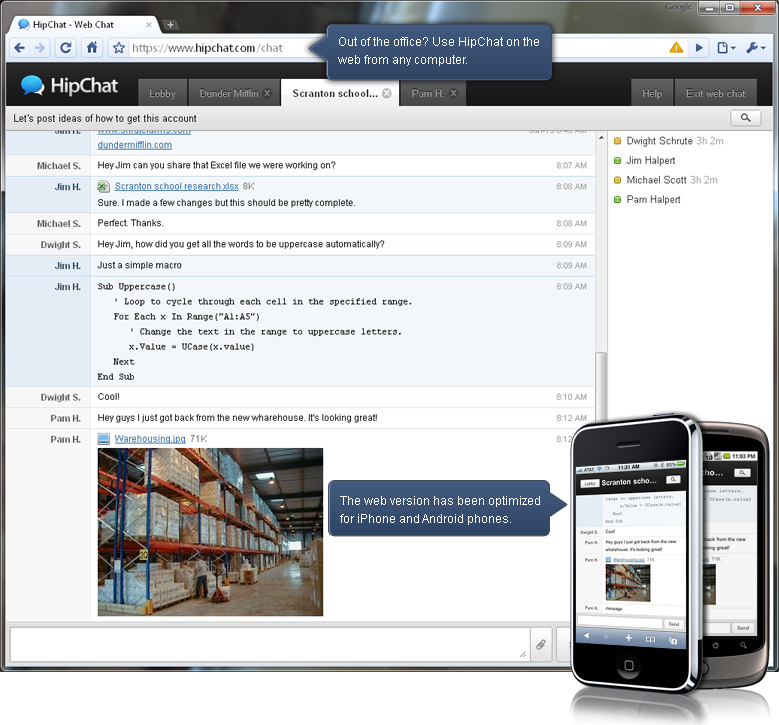 · Real time chat Chat in real time with your website visitors. Provide instant answers to your Customers and improve your sales conversion rate. · Simple setup Only one simple piece of HTML code is required to be inserted into your site. That's all! No development, no special skills required. · Customizable Provide Live Help allows you to watch your website visitors activity in real time. See visitors arriving at your site and move from page to page in real time. 7. 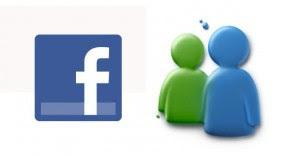 Once you have verified your connection to your Facebook profile, you will see your Facebook friends in your friend list in Windows Live Messenger. Messenger Plus! has released the beta version of Plus! 5, the fifth major version of the popular Messenger Plus! software. The beta version of this software and new website is currently in the testing and translation process. The general release of Plus! 5 is targeted for the end of January, 2011. As previously announced, Plus! 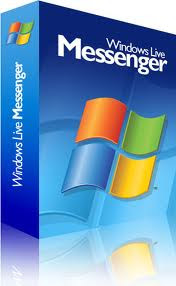 5 provides full compatibility both with Windows Live Messenger (WLM) 2011 and WLM 2009. Skins, scripts and other Plus! 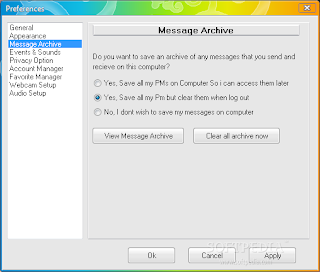 5 features are now supported in WLM 2011. A number of new skins have already been developed and are already available for WLM 2011 users. Skype for iPhone now lets you make and receive free Skype video calls on your iPhone, iPad or iPod touch, and works over both WiFi and 3G connections. The new app is compatible with the iPhone 4, iPhone 3GS, and iPod touch 4th generation with iOS 4.0 or above. 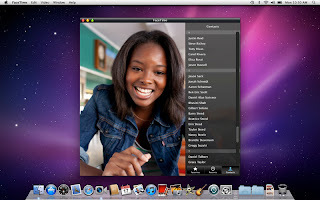 You can also receive video calls on the iPod touch 3rd generation and iPad. Calls can be made between devices using the new Skype for iPhone app and desktops including Skype for Windows 4.2 and above, Skype for Mac 2.8 and above, Skype for Linux and the ASUS videophone.